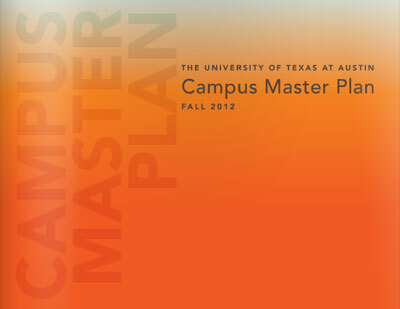 I joined a team of colleagues from Sasaki Associates to develop a campus master plan (a guide for UT Austin's physical framework for development) for The University of Texas at Austin, as well as a plan for a brand new Medical School campus. Within that broad task comes a lot of time spent deciding how to prioritize ideas, projects, and the deployment of resources over time. As a way to facilitate the conversation in a series of large workshops with UT Austin stakeholders, I started to tinker around with a drawing (later dubbed "the mandala") to visually organize the different topics the plan would address. What was fascinating is how well the mandala worked for the group. We printed an enormous poster version and hung it in the working studio (the "war room") at UT Austin, and referred to it throughout the project. We also used it to organize ideas in our digital presentations, too. As absurd as it sounds to have a process-oriented drawing granted such a lofty-sounding name, it was thrilling to see how visually organizing ideas helped give the large client group and our project team a shared vocabulary. 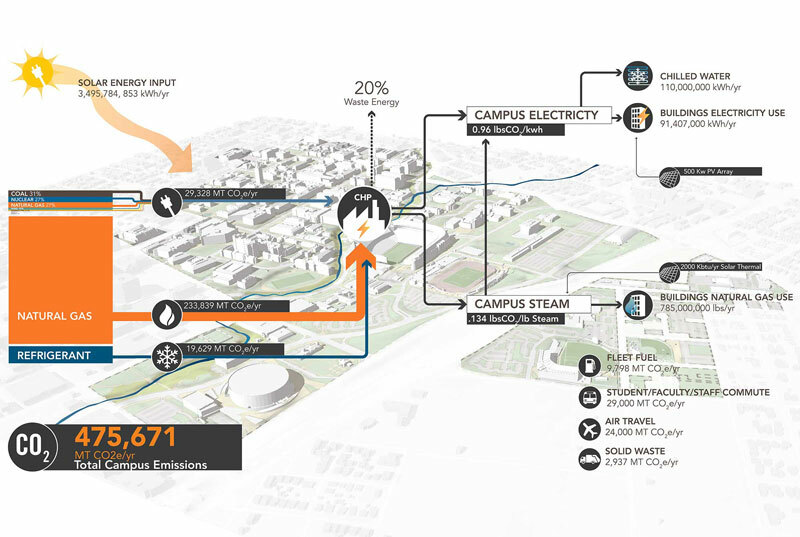 I also directed the sustainability planning effort for the team, in addition to establishing the visual design direction and designing the final The Executive Summary and final Campus Master Plan. 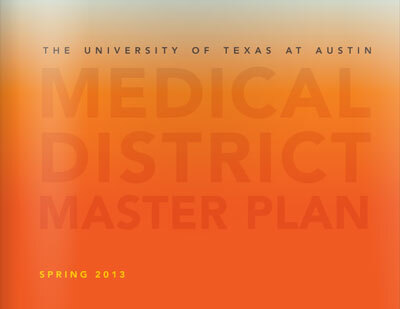 We completed the Medical District District Master Plan in Spring 2013. Working with the University of Texas at Austin was pretty close to a dream project. The project team and the client group fostered a strong, inventive process where everyone consistently produced great work, tested new ideas, and put together a beautiful and pragmatic plan.